Change things up with a short trip to Naggar Castle in Naggar (about 1h 10 min away). Next up on the itinerary: take a memorable drive along Rohtang Pass, contemplate in the serene atmosphere at Hidimba Devi Temple, explore the activities along Beas River, and get your game on at Club House. 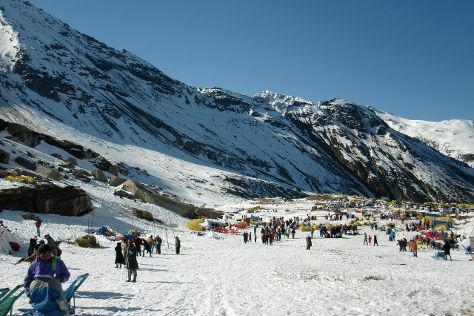 To find traveler tips, ratings, other places to visit, and more tourist information, read Manali attractions planning app . Wrap up your sightseeing on the 5th (Sat) to allow time to travel back home.